A scenic destination with turquoise waters, shining white sand, a magnificent natural coral reef and a long coastline, Punta Cana is favoured by couples, families and solo tourists for its sunny climes and laidback vibes. IFA Villas Bávaro Resort & Spa is a luxurious family-friendly hotel located on the fine white sandy beach of Playa Bavaro in Punta Cana. Built around a lake-shaped pool, the hotel offers comfortable amenities and warm hospitality, easy access to the private beach, a relaxing spa and a clutch of restaurants and bars to offer its guests a comfortable stay. The plush, spacious rooms are well-appointed with all modern amenities and come with balconies that offer garden, pool or beach views. Sporty action during the day and lively evenings with plenty of entertainment are what make IFA Villas Bávaro Resort & Spa the best address to enjoy a sunny holiday in Punta Cana. Located near the beautiful sandy beach of Playa Bavaro, IFA Villas Bávaro Resort & Spa is 4 km away from the hamlet of El Cortecito. Los Corales Beach and Cortecito Beach are within 5 km. The Palma Real Shopping Village and Dolphin Island are 2 km from the property. Higuey, the nearest city with good markets is at 50 km distance. 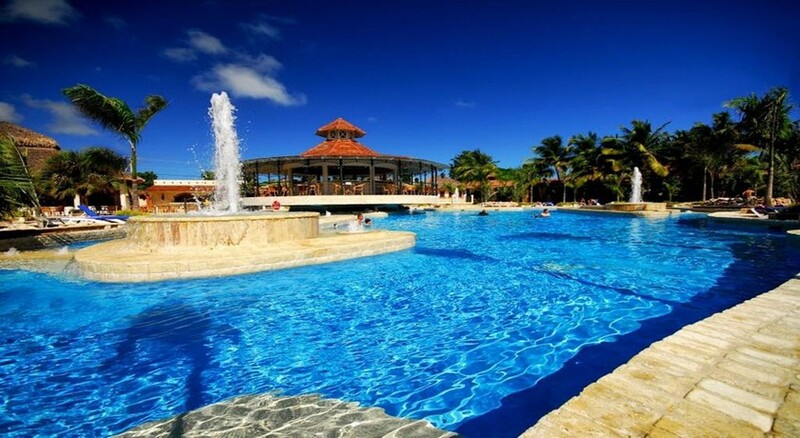 The Punta Cana airport (19 km) is just 30 minutes’ drive away. 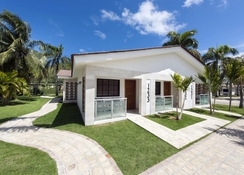 IFA Villas Bávaro Resort & Spa is designed in an elegant, colonial style, reflecting in its exterior and decor. The comfortable, well-furnished rooms have a French balcony with gorgeous views. The 652 rooms – categorised into Standard and Superior – are equipped with a king size or two queen size beds, a complete bathroom with hair dryer, balcony overlooking the garden, pool or beach, telephone, mini bar, safety deposit box, refrigerators, coffee maker, plasma TV with cable, Wi-Fi, wired Internet and free bottled water and individual air conditioning. 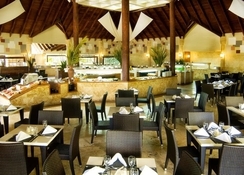 There are 7 restaurants and 7 bars in IFA Villas Bávaro Resort & Spa that cater to the guests. 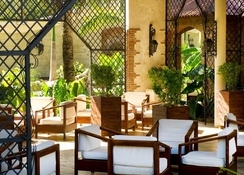 It also has an all-inclusive option where in à la carte buffet meals, snacks, and local beverages are included. 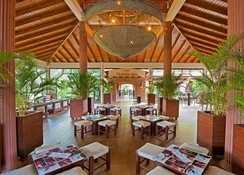 Caribe is an a la carte restaurants serving an international gourmet menu, Bambú offers Oriental dishes, while Jalisco offers traditional Mexican food. Bella Serata is for Italian and Las Velas is a beach grill. 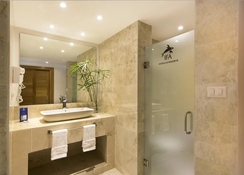 There are seven bars including Jacuzzi bar, theatre bar, lounge bar and pool bar. IFA Villas Bávaro Resort & Spa offers fun-filled activities like scuba diving, snorkelling, wind surfing, tennis, badminton and horse-riding to the guests. They could also take a glass-bottom boat trip or work out in the gym. The hotel’s swimming pool and the private beach are great options to take a dip or bask in the sun. There are also two pools with children's areas and sun terraces. The on-site spa offers complete relaxation. The hotel also offers lively entertainment during the night as well as a disco entice the revellers. For golfers, Manati Park and Barcelo Bavaro Golf are in close proximity. Very good location, walking distance from the beach, friendly staff, good quality food in general except Mexican restaurant ( where food was Mexican only by its name). Long qiue was worth just for oriental restaurant ( where food was delicious) . Service good except for internet (we paid 10$ just for one day and for one person only!!! Also charge for deposit box was collected 3$ per day.